One day, I was sitting at the dinner table and I thought, “Hey, maybe I can make candied apple dessert for myself!” So, this is what I did. 1. Pierce a piece of apple with a toothpick. 2. 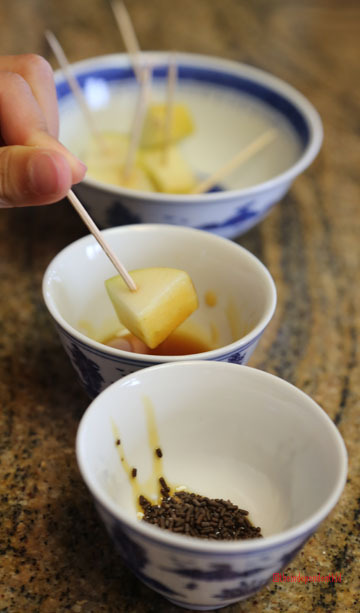 Coat the apple piece with nectar/honey/syrup.